My Niece Mathilde spotted French entertainer Johnny Hallyday having dinner at the French bistro Morels at the Grove in Hollywood. 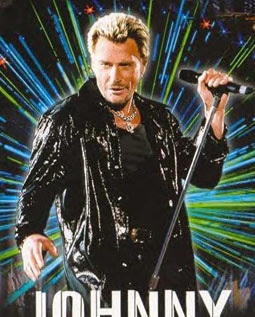 Hallyday became famous in the sixties as a sort of French Tom Jones, mostly for his French-language covers of American and English rock hits. He is adored by his French fans to this day, and still performs frequently. He is also known for not being the sharpest knife in the drawer.